Whether you feel just like spoiling yourself or having some friends over for some drinks and food, you need to know how to pair wine with seafood. There is no better nation to learn from than the people from Australia, wine and seafood connoisseurs. All you have to do is follow their guidelines and think about the flavors and textures. You are hardly likely to go wrong, but a few tips from the experts never hurt no one. Apart from being a delicious combination, tasting seafood and wine is actually really good for your overall health. Seafood is rich in omega 3 fatty acids which are vital for brain activity and heart protection. What is more, there is a lot of vitamins and minerals such as Vitamin D and A, magnesium and phosphorus that grant you a glowing skin and a healthy immune system. Since the ancient time, people have been aware of the benefits of wine producing and consuming. Wine is believed to promote living longer, boost your mood, lower cholesterol and balance your blood sugar levels. If you want to taste a real sweet delicacy go for tasting some lobster with a glass of Clairault Chardonnay from Margaret River, WA. The wine is a classic and contains magnificent aromas of pear and musk and is excellent when paired with lobsters. However, if you would like to try a boiled lobster go for First Creek Chardonnay from Hunter Valley, NSW which has citrus characteristics that are bound to make you enjoy the meal. Salmon is the kind of fish which goes best if served with red wine. Opt for Hugh Hamilton “The Scoundrel’ Tempranillo from McLaren Vale, South Australia to get the unforgettable taste of the fine tannin finish with cherry as the locals are absolutely mad about this combination! Tuna can be served with almost any wine. If you are about to eat a cold tuna, pick some white wine such as Hahndorf Hill Sauvignon Blanc from Adelaide Hills, SA which is famous for its passionfruit flavours. However, if you are eating seared tuna be sure to have a glass of Hahndorf Hill Rosé which has a zesty taste. For eating tuna salads, choose some quality white wine. If you have problems deciding which ones to go for, rely on a handy wine app. Prawns are already so sweet that you need to get even sweeter wine. If you obey the rule that the drink has to be sweeter than the meal. 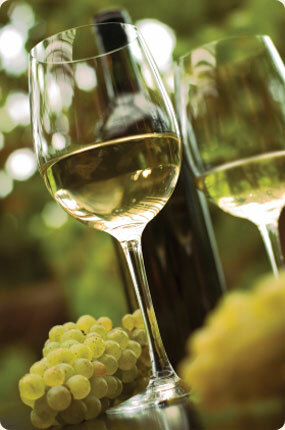 Mother of Pearl Sauvignon Blanc from Coonawarra, SA is ideal because of its crisp and fruity taste. Crabs are best accompanied by Rieslings so try Patrick of Coonawarra Estate Riesling from Coonawarra, SA to experience the intense aroma with a crisp finish and see why the people from Australia absolutely adore this pairing. If you like oysters you will be thrilled to taste them along with drinking some Pinot Noir. Route Du Van Pinot Noir from Yarra Valley, VIC is the nation’s best kept secret – the Aussies love drinking it while eating oysters and so will you. Those of you who enjoy eating cod will love drinking Clairault Sauvignon Blanc-Semillon from Margaret River, WA too. This is a classic white wine brand from a well-known wine area that will tickle your palate. When it comes to pairing wine and seafood, there are a couple of tips Aussies have to share as they are known to be the connoisseurs of pairing the two. Follow their simple rules and be ready to embrace a healthy lifestyle. Find more Yummy Recipes and Wine & Food Pairing Posts in Booze & Food.